Over the weekend, while festive shoppers across the UK browse clothing stores, they are also discovering messages from garment workers seeking help. The messages being found by shoppers in clothes in Marks and Spencer, Next and Zara stores say: “I made the item you are about to buy, but I didn’t get paid for making it”. Elsewhere in the world, notes are also appearing in stores of Mango, Uniqlo, Adidas, Mizuno and Nygard. The messages are from workers in Cambodia, Turkey and Indonesia who are all owed money for making clothes for these fashion industry giants. In four discrete instances between 2012 and 2016, workers saw their factories suddenly close, even overnight, leaving them jobless and owed months of back wages and severance payments. These factory closures (Chung Fai factory in Cambodia; Bravo factory in Turkey; PT PDK and Jaba Garmindo factories in Indonesia) were often preceded by major buyers cutting off orders, without warning or explanation to the workforce, most of them women. The consequences for the workers and their families have been dire. Each of the brands involved, despite collectively earning billions in annual profit, are refusing to pay the workers from these factories their back wages and severance – money they earned over many years of working hard and long hours to produce clothes for these brands. 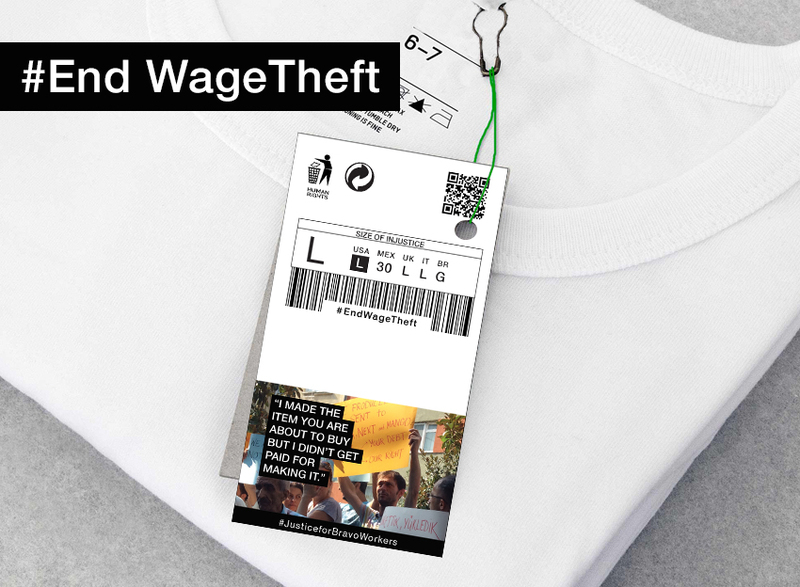 Labour Behind the Label and the Clean Clothes Campaign believe that to deny these workers their payment is tantamount to wage theft, and call on all the brands involved to ensure these workers receive what they are owed. In the week between 14 and 20 December 2017 activists and workers are joining together in actions around the world calling for these brands to end wage theft and urging consumers to support these campaigns for justice. Message drops and protest actions are happening in over nine countries including Indonesia, Japan, Turkey, Germany, the United Kingdom, Switzerland, the Netherlands, Canada, and Hong Kong. Over the 2017 fiscal year, Marks and Spencer generated an operating profit of 690.6 million GDP (784.7 million EUR). Sudden and unexpected factory closures seems to be a growing trend in the global garment industry. A particular challenge for workers is when factories go bankrupt following the withdrawal of orders from major brands since few countries have legal processes that prioritise debts to workers over other creditors, or legal systems that recently unemployed workers are able to readily access. There are important precedents of brands taking responsibility for workers in their supply chain after a factory closure. 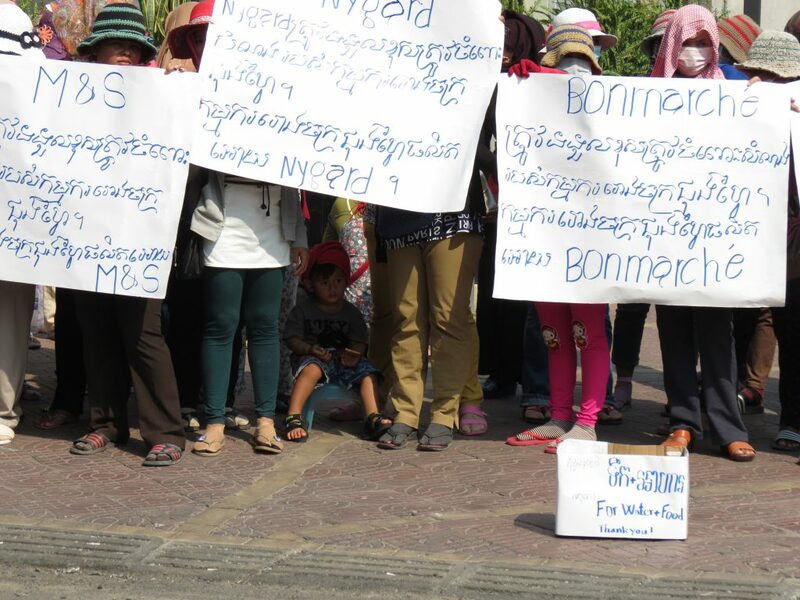 In late 2012, nearly 200 garment workers at the Kingsland factory in Cambodia were deprived of their severance pay after the factory abruptly closed its doors. The workers started a month-long vigil and protest camp in front of the factory to prevent the factory’s assets from being stripped. This resulted in a historic settlement with Walmart and H&M in March 2013. Similarly, after two years of international solidarity, adidas reluctantly agreed in 2014 to compensate 2,800 Indonesian garment workers who were owed US $1.8 million in severance pay following the closure of sportswear factory PT Kizone in Indonesia. Adidas is now involved in the PT PDK factory closure case. 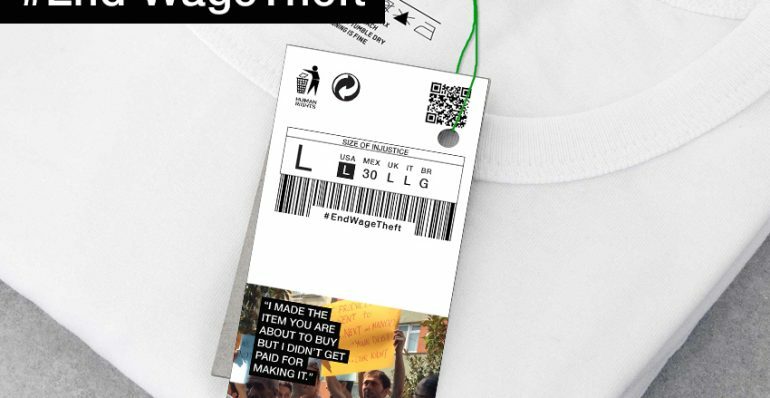 Labour Behind the Label campaigns for garment workers’ rights worldwide. We support garment workers’ efforts to improve their working conditions and change the fashion industry for the better. We raise awareness, provide information and promote international solidarity between workers and consumers. Please see www.labourbehindthelabel.org and www.cleanclothes.org for further information.